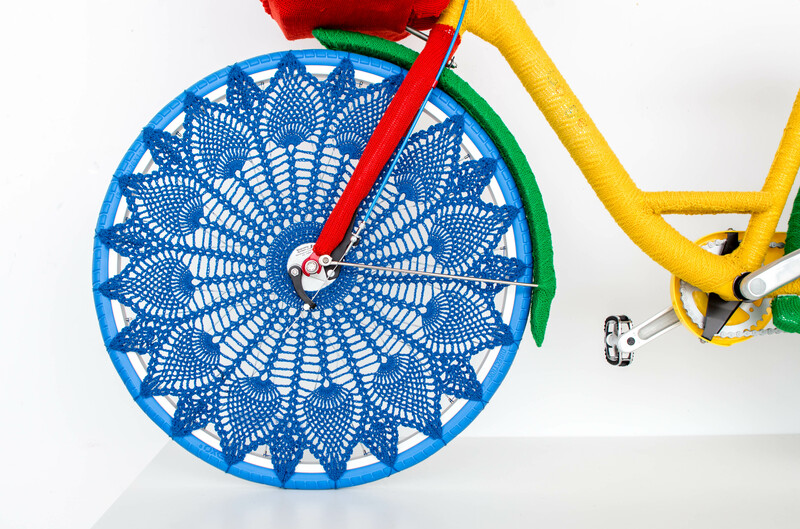 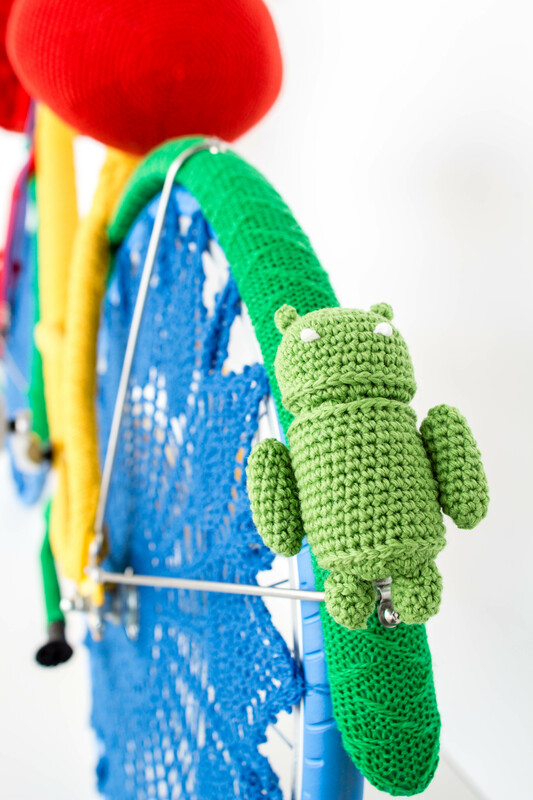 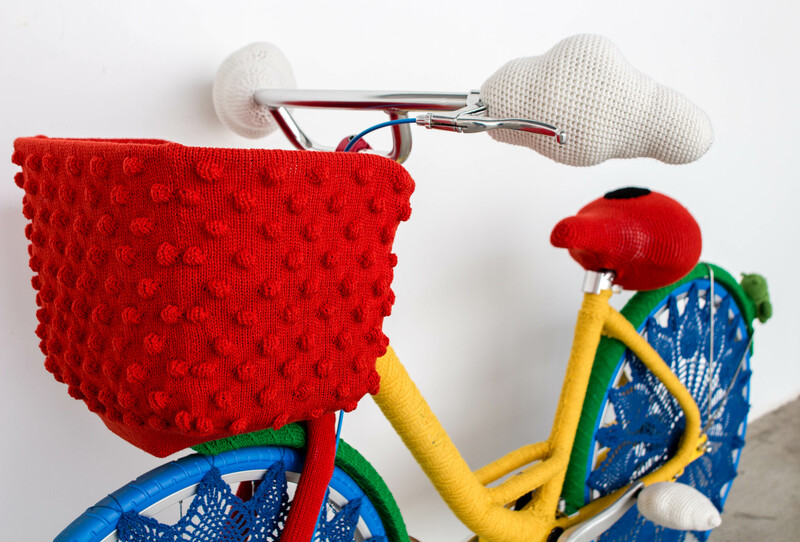 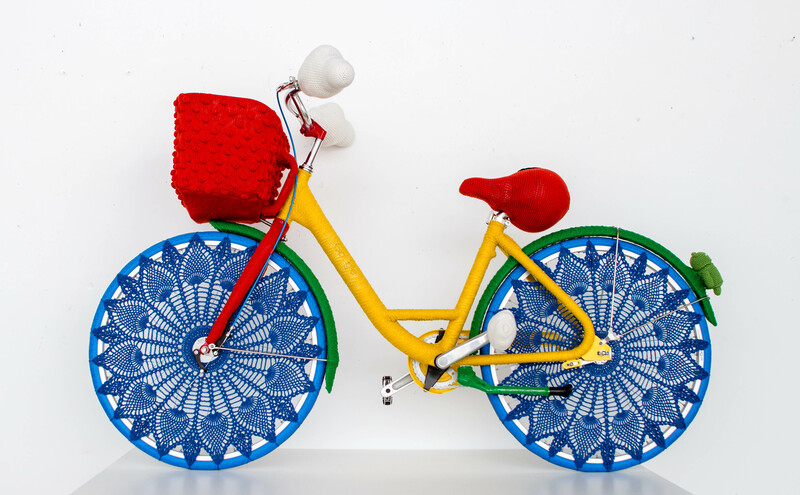 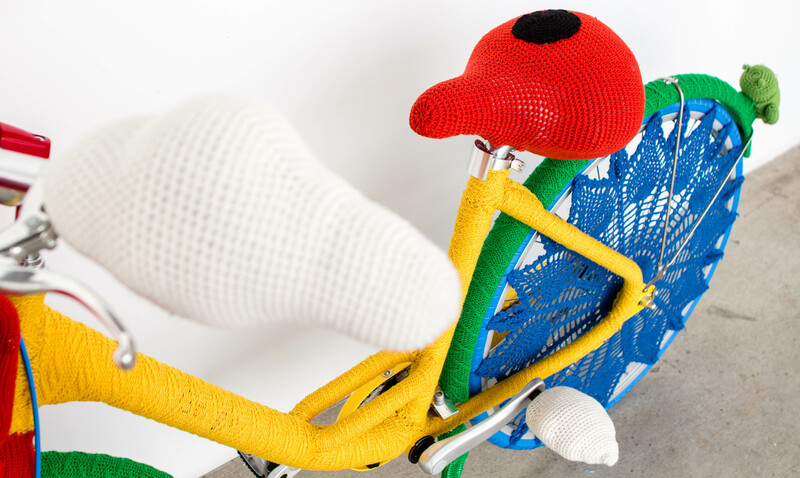 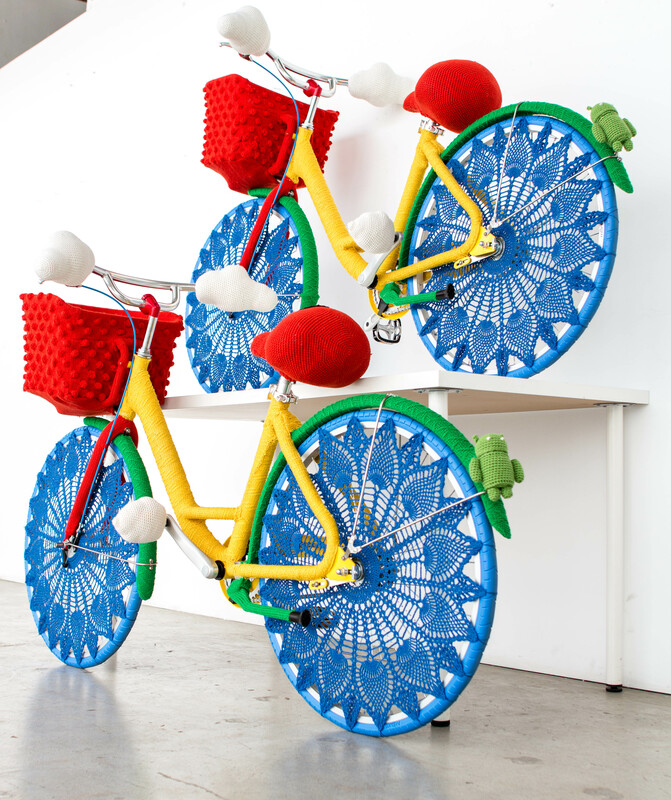 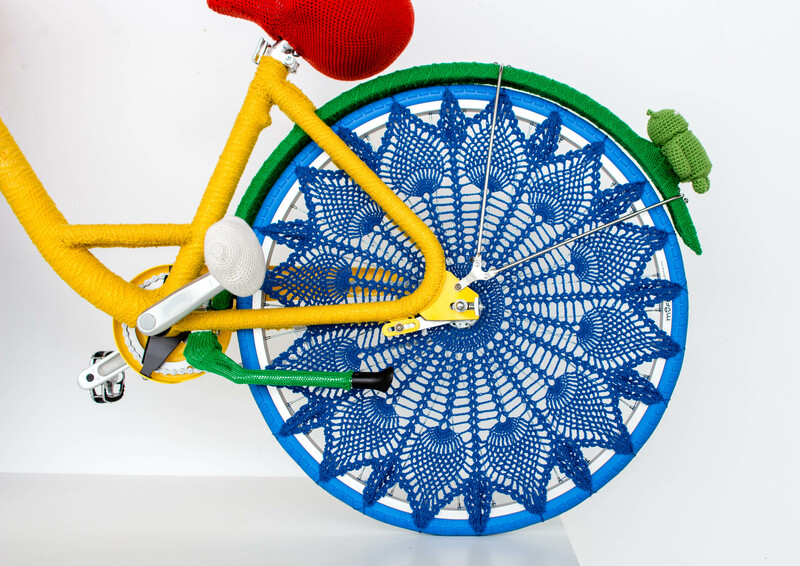 Custom yarn bombed bikes for Google Cloud offices in Sunnyvale, CA. 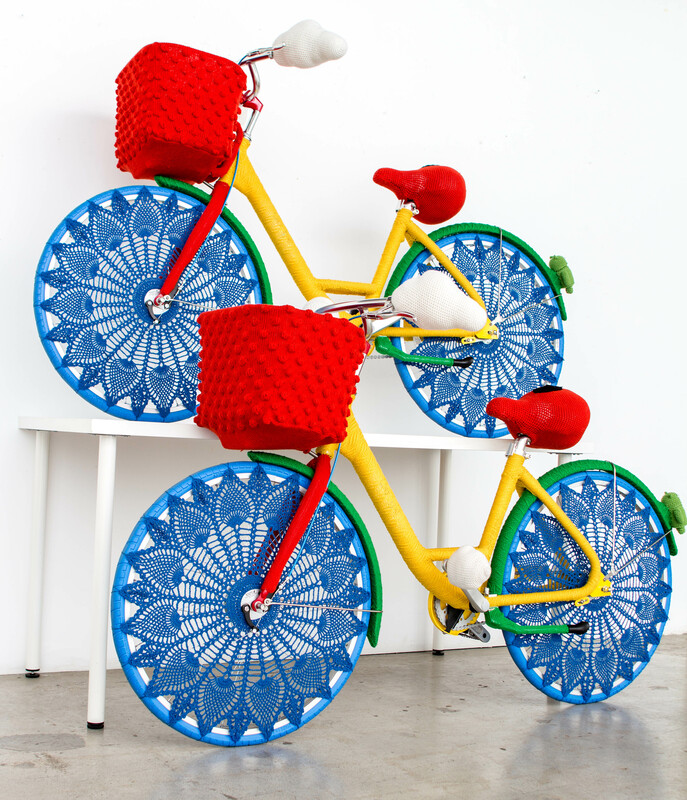 Installed March 2018 in collaboration with Indiewalls. 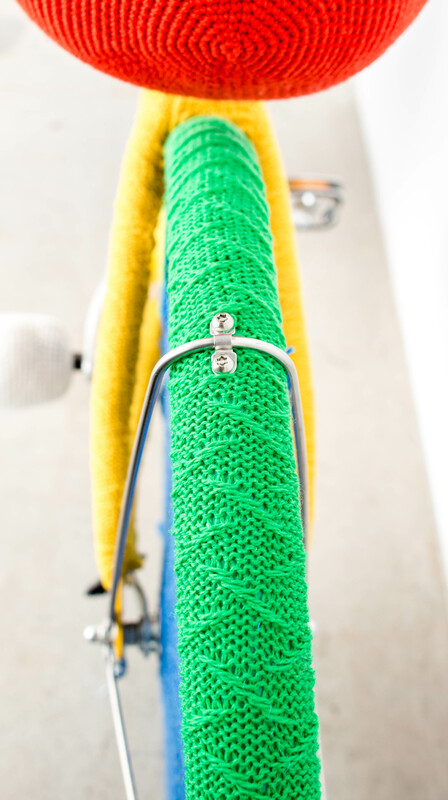 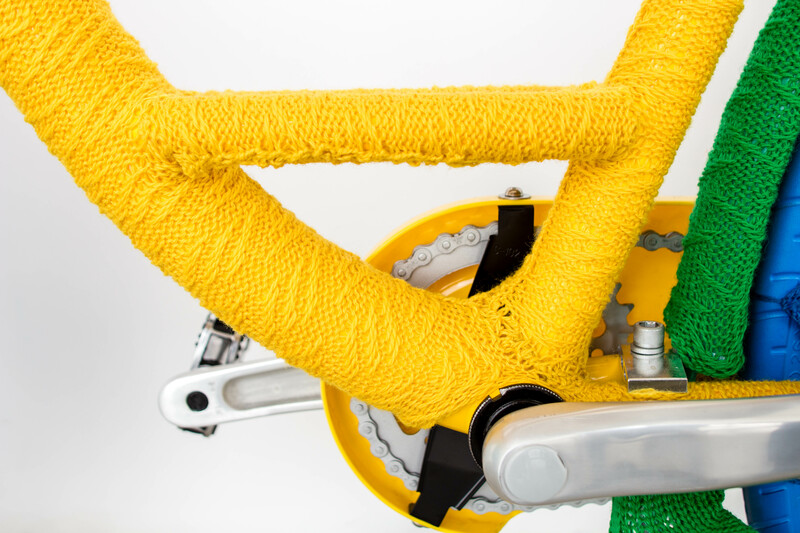 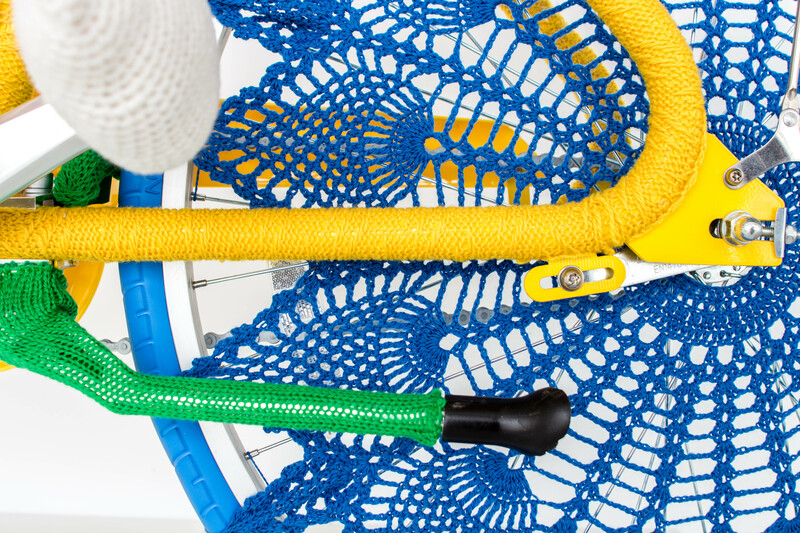 Hand knitted and crocheted elements, hand sewed onto bikes. 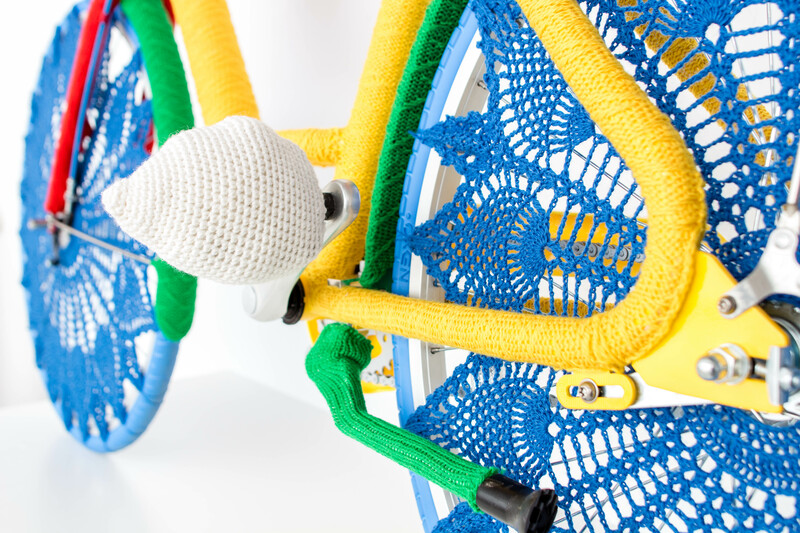 Custom design with on-brand elements including Google Cloud handlebars and pedals, Google Maps pin seat cushion and Android fender bot.